Mozilla confirmed Tuesday that it was halting development on Firefox OS in its current incarnation, putting an end to more than four years of work building a browser-based, smartphone operating system. "Firefox OS proved the flexibility of the Web, scaling from low-end smartphones all the way up to HD TVs. However, we weren't able to offer the best user experience possible and so we will stop offering Firefox OS smartphones through carrier channels," said Denelle Dixon-Thayer, Mozilla's chief legal and business officer, in an emailed statement. News of the decision initially reached Twitter on Tuesday when some attendees of Mozilla's annual developer conference broke the news. 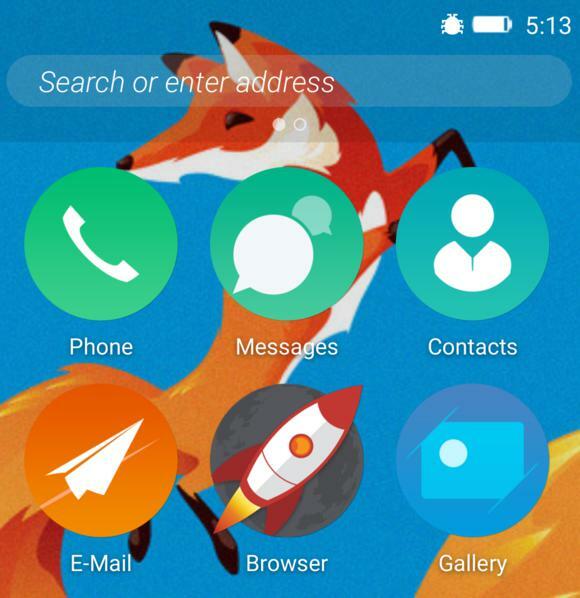 Georg Fritzsche, a Mozilla software engineer, had tweeted, for example, "Honesty & courage for Firefox OS: back off from commercial shipping, re-iterate as innovation project 'connected devices.' "
According to Dixon-Thayer, Mozilla will continue to "experiment with the user experience across connected devices" with the work accomplished on Firefox OS. TechCrunch first reported on the Firefox OS stoppage. Firefox OS's demise didn't surprise Jack Gold, principal analyst at J. Gold Associates, who has long been skeptical that the open-source developer could break into the smartphone operating system market, which is dominated by Google's Android and Apple's iOS, with Microsoft's Windows a distant third. "In today's market, you can't have a phone OS that doesn't grab scale," said Gold in an email reply to questions. Gold cited Tizen, a moribund OS that Samsung created as a possible alternative to Android, and the on-life-support BlackBerry OS, as examples. "So it's not all that surprising that Firefox has pulled the plug on a product that, in my opinion, it should never have launched in the first place." Firefox OS, Gold continued, never garnered support from major players, whether handset makers or mobile carriers, nor managed to collect any momentum. "They bet that lower-cost phones in developing markets would buy in to the OS, but even developing markets want an OS with an ecosystem -- and apps -- behind it," Gold said. "Firefox never achieved that." Mozilla's smartphone operating system traces its roots to "Boot to Gecko" (B2G), a reference to Firefox's rendering engine, Gecko, and the fact that the OS would, like Google's Chrome OS, essentially be composed of a browser. Mozilla first discussed B2G in mid-2011. A year later, Mozilla renamed B2G "Firefox OS," and announced that it had lined up a few handset manufacturers to build smartphones that ran the the operating system, and several carriers which had pledged to support it. The idea was that Firefox OS would start with very-low-end, very-low-priced smartphones, which at the time were scarce. Mozilla demonstrated the operating system in February 2012, and in July 2013, the first Firefox OS-powered device, the ZTE Open, was launched by Telefónica in Spain. But even then, Gold said there was little chance of Firefox OS's success. "I think this is just too late to have any meaningful share," Gold said in 2013. "They talk low-cost and minimal resources, but how is this different than Android moving downstream?" Ryan Reith of research firm IDC was just as dismissive two years ago. "I see no logic in how this can succeed," said Reith of the 2013 status of Firefox OS. "It will continue to be a three-vendor race -- Google, Apple and Microsoft." Firefox OS never accumulated enough user share or usage share as tracked by analytics vendors Net Applications and StatCounter, respectively, to even appear in their rankings. In hindsight, an internal memo by Mozilla CEO Chris Beard that CNET obtained in May was a tip-off that Firefox OS and Mozilla's mobile strategy was in trouble. Beard told employees that because the goal of a $25 smartphone running the operating system had "not seen sufficient traction," the organization would "not pursue all parts of the program." But Beard also said in the memo that Mozilla would "aggressively" invest in Firefox OS, even as he cautioned that it would not compromise on its principles. "We will say 'no' to opportunities, even if they make good business sense, if they do not further our mission," said Beard. Those comments were echoed in Dixon-Thayer's statement Tuesday. "We are proud of the benefits Firefox OS added to the Web platform and will continue to experiment with the user experience across connected devices," she said. "We will build everything we do as a genuine open-source project, focused on user experience first and build tools to enable the ecosystem to grow." Dixon-Thayer also promised that Mozilla would soon share more of its connected devices experiments. Mozilla has been tightening its belt of late, with the decision to dump Firefox OS only the most recent. Last week, for instance, it announced it would further separate itself from the Thunderbird email client, which had been handed to volunteers three years ago. Also last week, the organization abandoned in-Firefox advertising, a two-year effort it had hoped would diversify revenue and free it from reliance on search providers. At the same time, Mozilla has pressed ahead on other initiatives, including its emphasis on privacy. On Tuesday, Mozilla launched Firefox Focus, a content blocker for iOS that integrates with Apple's Safari browser.